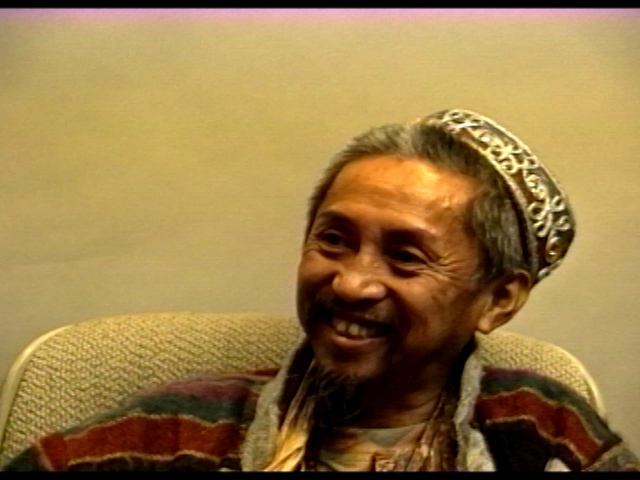 Kidlat Tahimik is a Filipino filmmaker, writer and actor who takes his name from the Tagalog translation of “silent lightning.” Known as the “Father of Philippine Independent Cinema,” his contemplative films are associated with the Third Cinema movement for their examination of neocolonialism and the Hollywood business-model of filmmaking. Here Tahimik talks about his early life in the Philippines and the personal forces that pulled him in another direction to end his career as a businessman. He discusses his notion of “benevolent assimilation” and his “sentimental relationship to American culture.” He further examines how the influence of American pop culture has created a set of expectations for movie-goers in the Philippines that departs from the quietude and tempered pacing of European cinema that he desires and aims for in his own work.